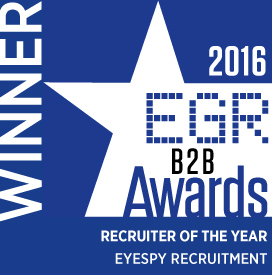 EyeSpy Recruitment (Gibraltar) Limited (company number 115329) ("EyeSpy") is committed to protecting the privacy of our candidates, clients and users of our website. We want to provide a safe and secure user experience. We will ensure that the information you submit to us via our website or through any of our offices is only used for the purposes set out in this policy. In order to provide the best possible employment opportunities that are tailored to you, we need to process certain information about you. We only ask for details that will genuinely help us to help you, such as your name, age, contact details, education details, employment history, emergency contacts, immigration status and financial information (where we need to carry out financial background checks). We use information about you, or individuals at your organisation, in the course of providing you services such as: (i) finding Candidates who are the right fit for you or your organisation; (ii) providing you with a Managed Service Provider ("MSP") programme (or assisting another organisation to do so); and/or (iii) providing you with Recruitment Process Outsourcing ("RPO") services (or assisting another organisation to do so). Where you are registered as a candidate on our database, your personal information may be accessible by or transferred or duplicated to our offices globally wherever they are based (e.g. in Europe, Asia, the Americas and Australasia) to enable them to provide you with recruitment services and for the purposes of business development, systems development and testing. We will notify you in the event we wish to transfer your data in order to explore job opportunities for you outside the European Economic Area (EEA) and we will give you the opportunity to withhold your consent to such transfer. We may also seek your consent to collect, hold, and use and disclose your personal information for any other purpose not listed above. We give you the option of submitting your CV via our website or by providing your CV to one of our consultants. You can do this either to apply for a specific advertised job or for consideration by our recruitment consultants for positions as they come up. Your CV will be stored in our database, and will be accessible by EyeSpy employees. We will only retain your data for as long as there is either a statutory requirement for us to do so or to be able to provide a service to you. This will usually require us to retain your personal data for a maximum of 3 years before we will require updated information from you. If you would like to make a request for information, please contact [email protected].